When Fiorina sees me getting out flour, sugar, and eggs, she knows it’s BAKING TIME! It’s her favorite time. This just brought me back to the time I spent with my mom at the kitchen. Those were truly my favorite childhood times. I haven’t been much of a baker before. I’m trying to bake more now because I know my girl loves to help me out when it comes to baking. 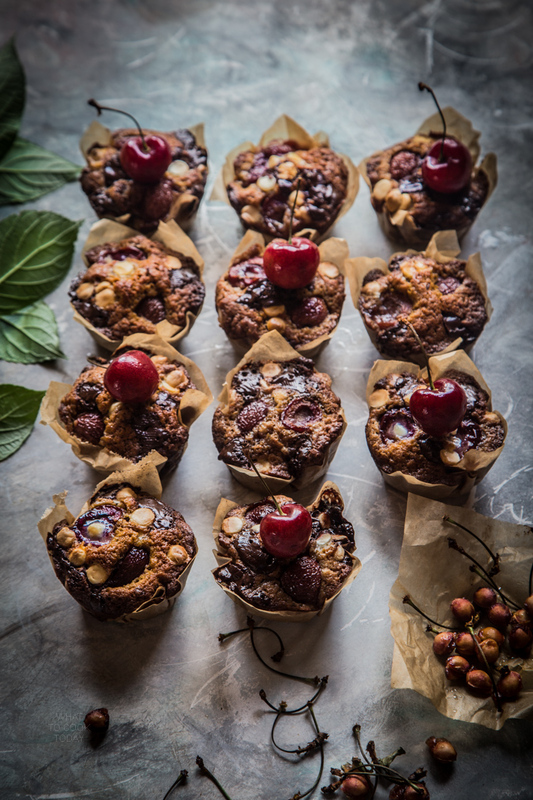 This double chocolate cherry coconut sugar muffins are inspired by cherry chocolate muffins from Paul Hollywood’s How To Bake cookbook. Love that cookbook by the way. 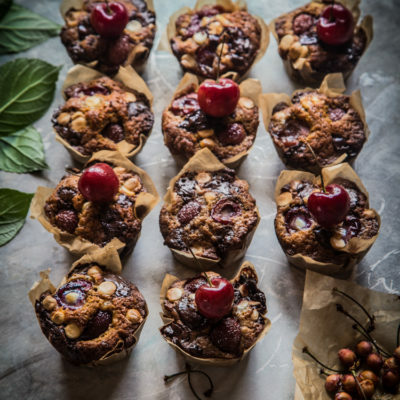 I’m trying to incorporate more coconut sugar in my baking and cooking now. I grew up with coconut sugar. This is very common in Indonesian kitchen. We call it Gula Jawa/Gula Merah/Gula Aren. They have much lower glycemic index and more nutritious compare to regular cane sugar. I’m not going to bore you with that as you can easily google and read the benefit of coconut sugar. 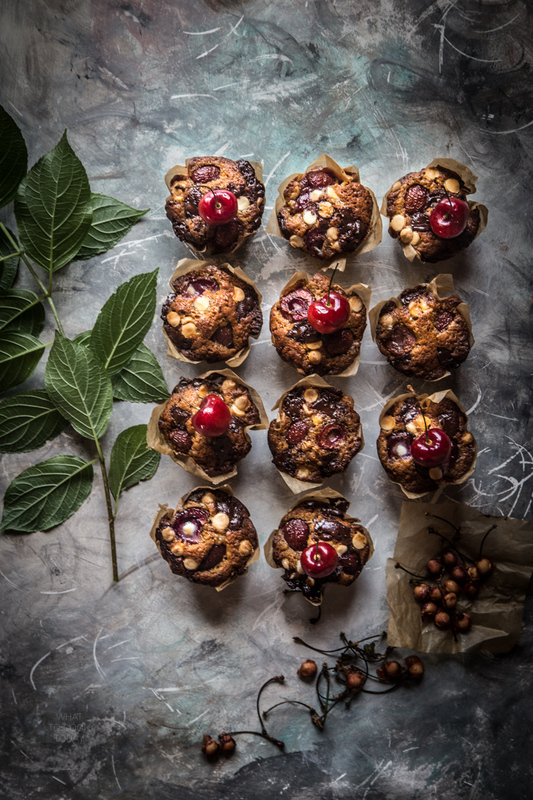 Anyway, yes….the coconut sugar gives these muffins their much darker colors, but I love how fragrant the coconut sugar is and don’t worry about your muffins smelling like coconuts, because they aren’t. 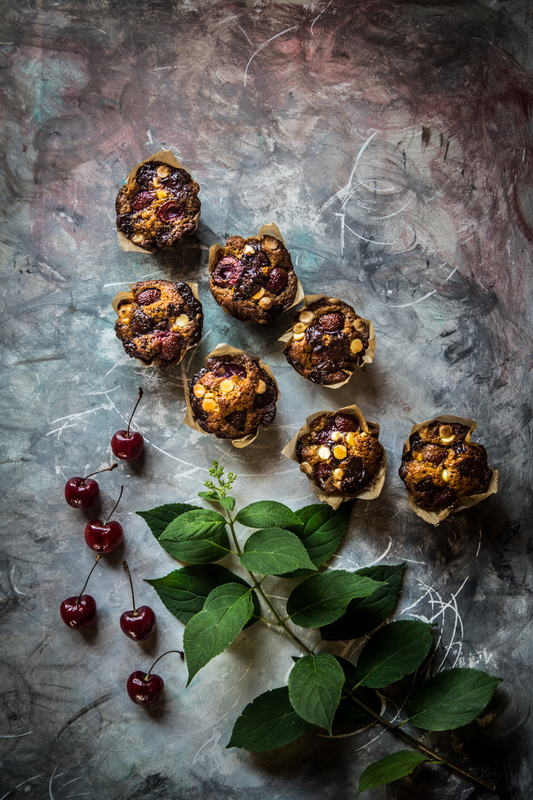 The tartness from the cherries, the bitterness from the dark chocolate and mild sweetness from the coconut sugar and white chocolate are just so perfect together in these muffins. 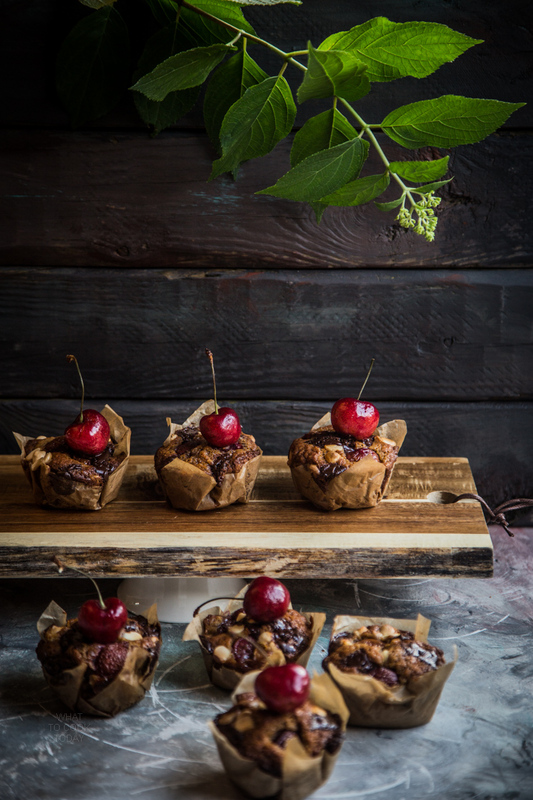 Wow, these muffins sound and look amazing! Beautiful photos as always! 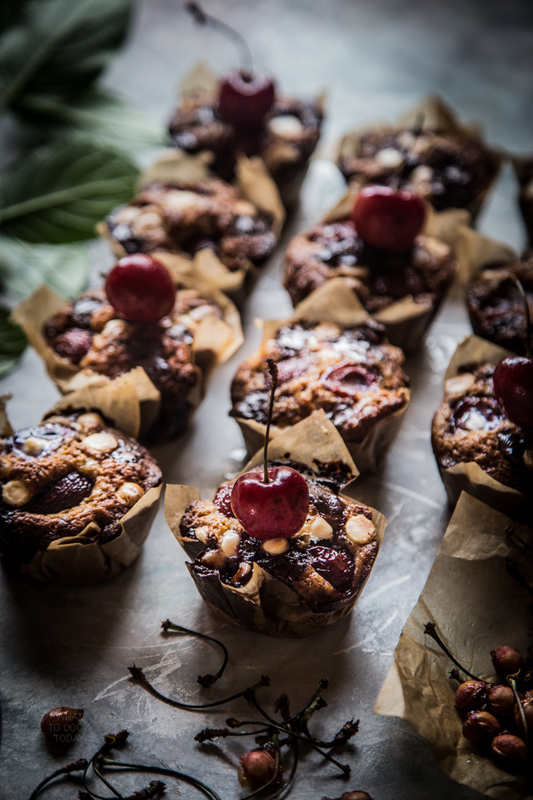 The muffins look gorgeous and delicious! I hope I’ll be able to find some coconut sugar over here to experiment with them!